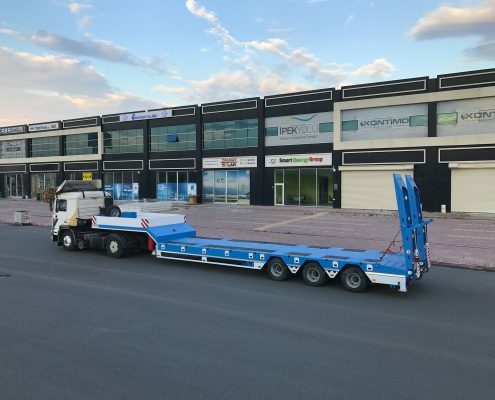 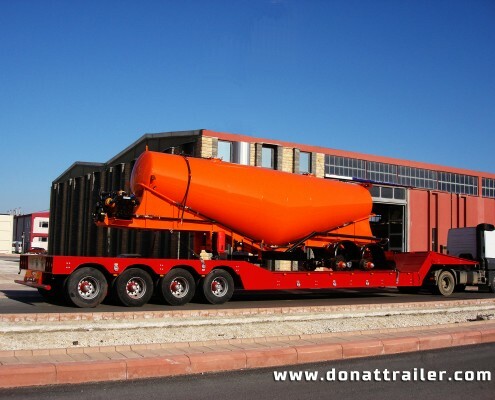 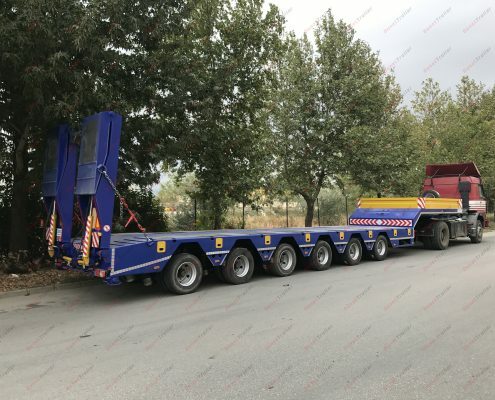 Lowbed Trailer 8 Axle with its variety from 2 to 10 axle made by Donat Trailers engineering and long term experiences. 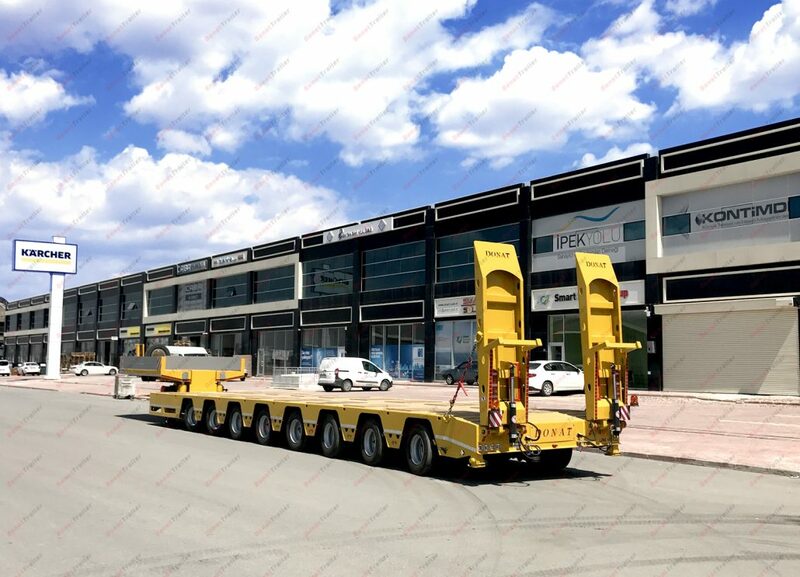 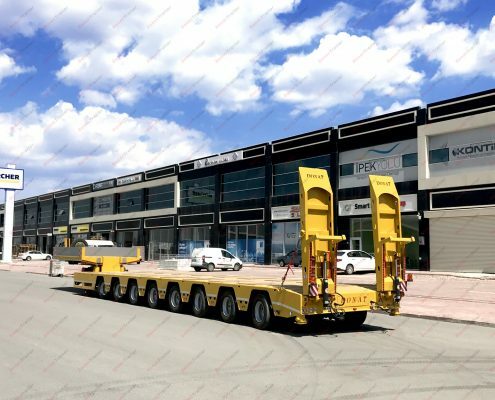 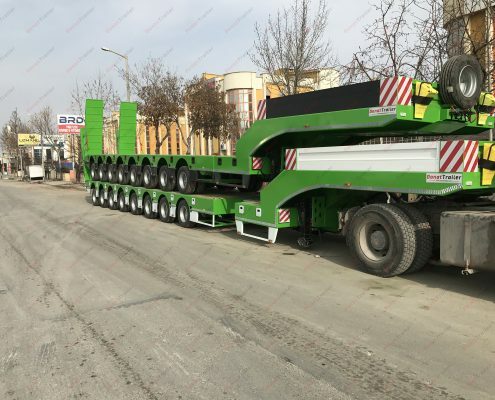 Lowbed Trailer 8 Axle can design for construction material transport, Long Pipe, Wind Energy Turbine transport. 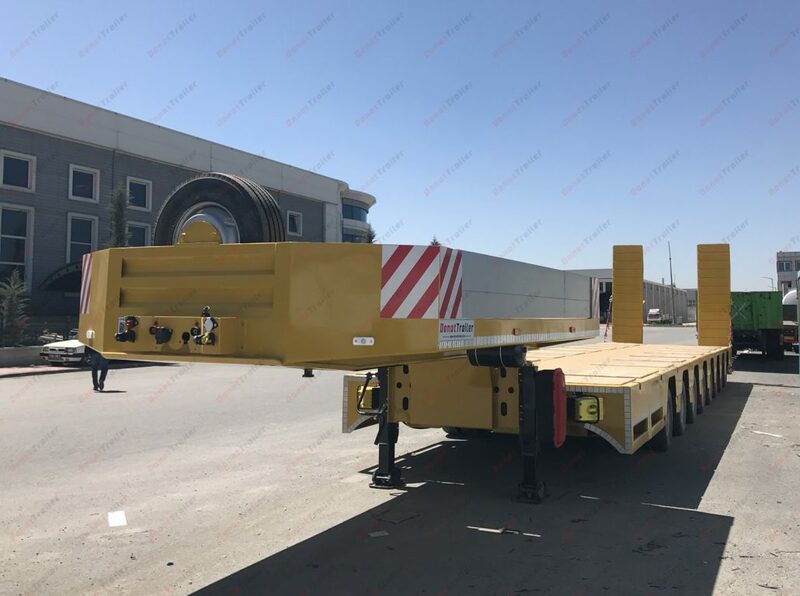 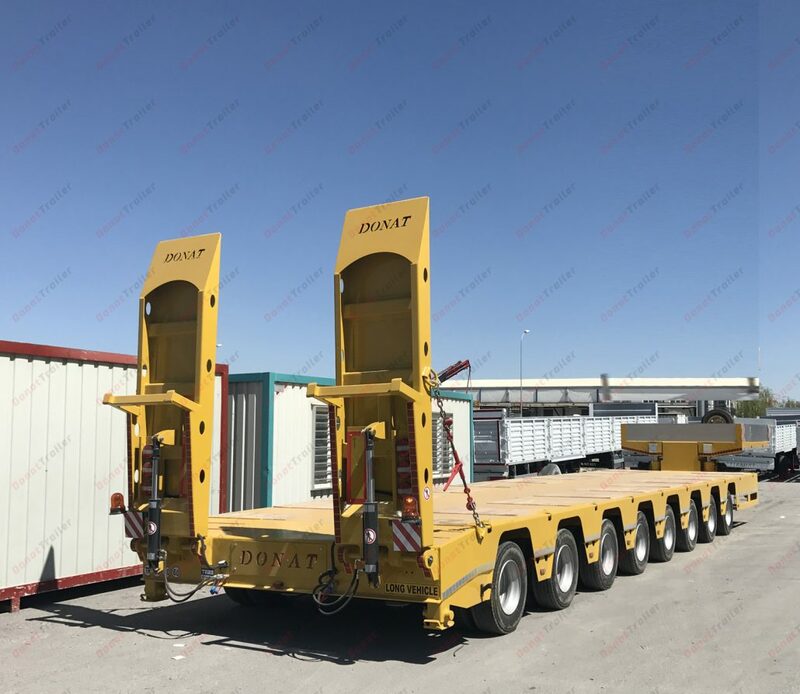 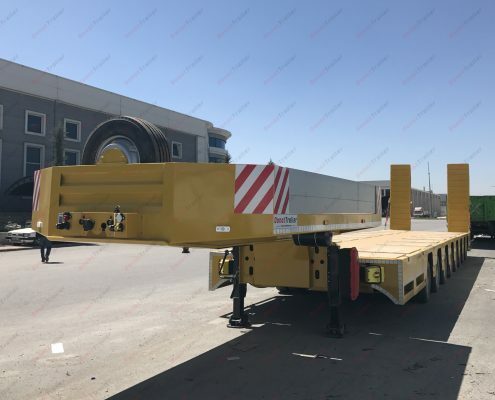 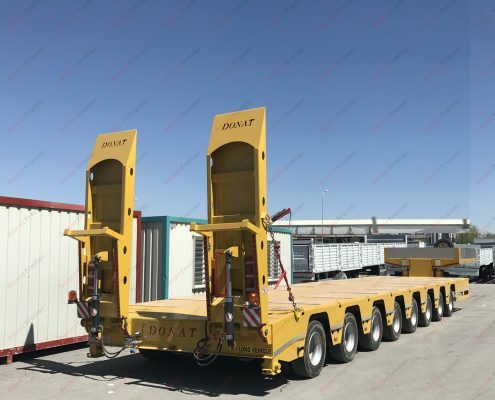 Type of Extendable Lowbed semi trailer can be telescopic or single extendable. 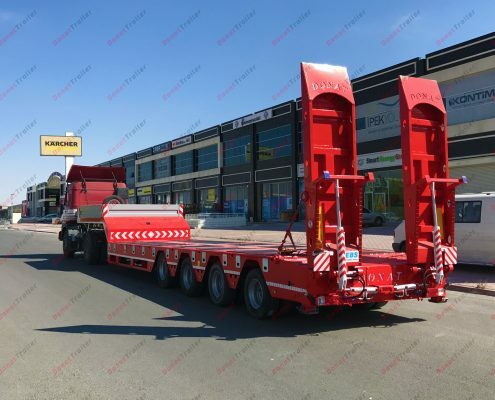 Width: 3100 mm + 350 x 2 mm extending sideway. 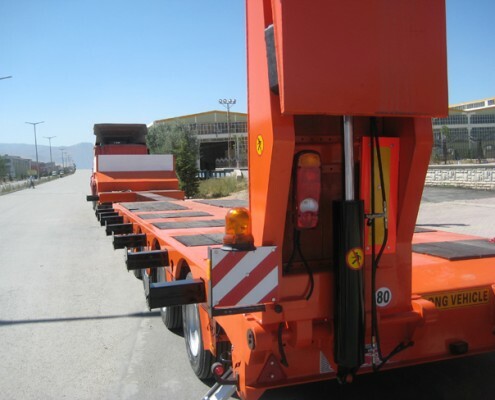 Extendable System: Extension from the middle 7.300 mm, locking mechanism at each 1 meter grade. 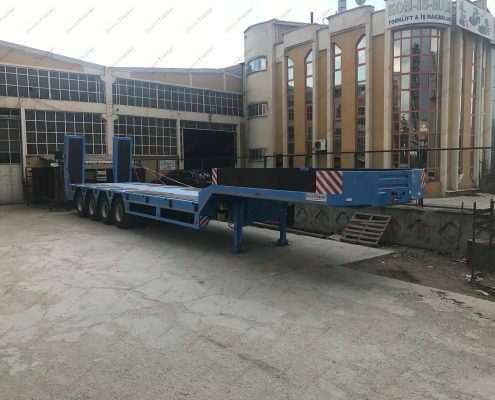 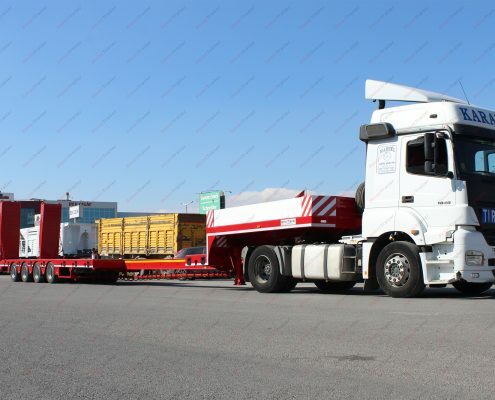 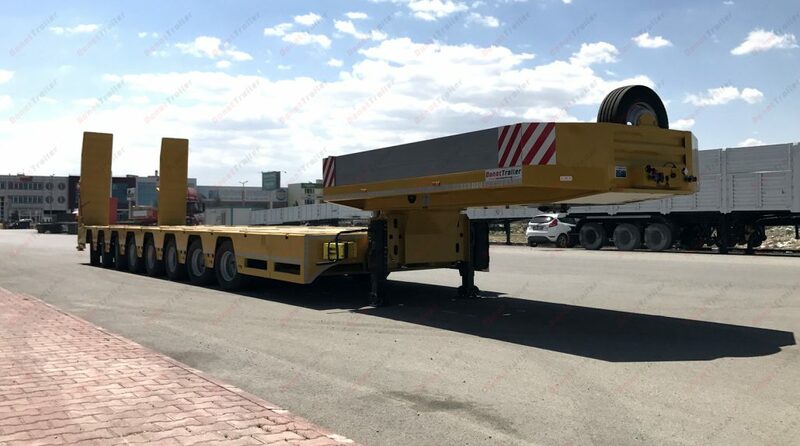 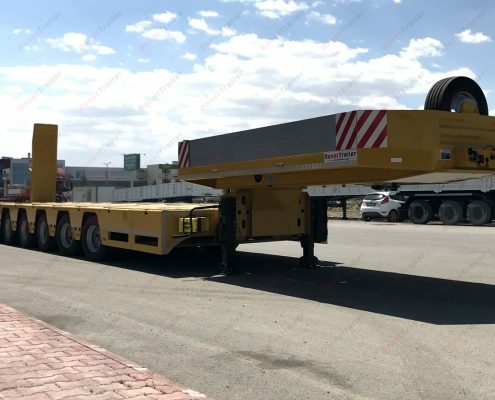 Chassis: Made of ST52 steel sheet iron, Box type chassis for extendable system.